Investing in smart devices is one solution for keeping your home secure. 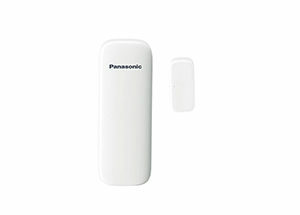 And one such device is the Panasonic Wireless Window and Door Sensor. This smart device monitors your home by connecting to your WiFi and allowing you to keep an eye on windows at all levels of your home and other rooms you want to observe. The device monitors doors as well. With an app, you can receive alerts to your phone or tablet when someone opens a window or door. This smart device is easy to install to any window or door surface, and with a push of a button, it syncs with your WiFi router. This home monitoring system from Panasonic maintains a clear, long-range signal throughout your home. The system is easy to control, and the app is free to use.